Legacies aren’t always what we intend them to be. 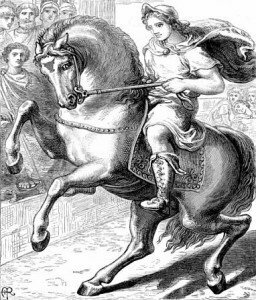 Alexander the Great nearly conquered the world in the 4th Century BC. He did this by uniting the Greek city-states into one powerful army. Only his death at age 33 prevented him from succeeding. But God used Alexander’s ambition for His own plan. It was through Alexander’s far-reaching conquests that a common language spread throughout the world. This language was in use when Jesus Christ lived and died more than 300 years after Alexander’s death. When Jesus’ apostles and disciples preached the gospel and wrote the New Testament, they used the Greek language spread by Alexander’s armies. The gospel message has forever established Jesus’ kingdom. Another man’s legacy currently is helping to do the same for Missouri. But unlike Alexander, his legacy is just as he intended. 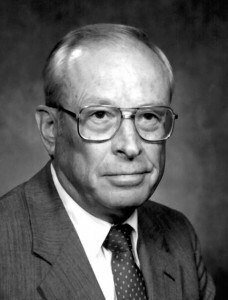 Rheubin L. South became executive director of the Missouri Baptist Convention in 1975, coming to Missouri from Park Hill Baptist Church, North Little Rock, Ark. When South arrived, each Missouri Baptist agency promoted its own offering. The Missouri Woman’s Missionary Union promoted the convention’s offering for state missions. As mission causes and agencies multiplied, the different offerings became burdensome to Missouri Baptist churches. Having separate offerings meant that Missouri Baptist agencies were competing against each other. So South rallied support for combining all of the offerings into one. With this plan, both the promotions and the giving for each of these agencies would be streamlined into one offering. Each cause would benefit from the combined promotion efforts and the burden on churches and individuals would be reduced. Some compared the proposed offering to the Cooperative Program, in which all SBC missionaries are supported through one fund. In 1985, messengers to the MBC annual meeting approved combining the offerings into the Missouri Missions Offering. A year later, South died. During the 1987 annual meeting, messengers voted to name it the Rheubin L. South Missouri Missions Offering.